Las Vegas is known as a world culinary center and the the 19th annual “Epicurean Affair” is an example of exactly what Las Vegas has to offer. We strolled along in the tropical paradise of the Flamingo's beautiful pool deciding where we would even begin to sample so many tempting culinary delights from some pretty big names in the world of food. Renown Chef Bradley Odgen 's Red Hawaiian Tartar dish was a great way to kick things off. Dos Caminos at the Palazzo was not to be out done and were serving their guests a Pork Belly Slider that was prepared to perfection. Our next stop was Diego at the MGM Grand who offered us a Tequila Braised Shrimp with Avocado Mousse that went perfect while walking around the Flamingo's tropical pool. We were in the mood for steak and found The Renaissance Hotel's Envy The Steakhouse and enjoyed a Garlic Marinated Prawn that was down right addicting as many guests returned for seconds. Jasmine at the Bellagio is a personal favorite so we had to sample a very special and very delicious bite-sized Braised Kobe Beef Short Rib Cube and Dungeness Crab Salad in a Watermelon Cube that made our mouths water. The M Resort just opened on the south end of the Las Vegas strip and provided us with the most interesting dish of the night. Their Foie Gras Lollipops with Macadamia Nut coating was a Lollipop that we could never have dreamed of and reminded us how much creativity there is the the kitchens of Las Vegas. we hear and read about. One of our personal favorites , Marche Bacchus is a great place for a lakeside meal. Chef JP and owners Jeff and Rhonda Wyatt were personally serving some of their best for the guests. Marche Bacchus, Nora's and others show us that world class dining is not JUST for the strip. 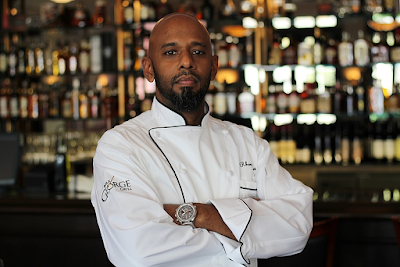 The Epicurean is not just about dinning but the entire Las Vegas experience. The famed Las Vegas clubs were well represented by Wet Republic , Red Square , Rhumbar and many others as we sampled some great spirits and visited with some very pretty people. The Epicurean affair is a one of a kind event in Las Vegas. We took a walk in a tropical paradise, sampled some great dishes, had a taste of the Las Vegas clubs, took a walk along a beach with serving beer and hotdogs and even tried a Huka. All of this without ever leaving the Flamingo Resort's pool. This is what Las Vegas and the Epicurean Affair are all about. You can always fine something to do and something you like without looking very far in Las Vegas. The 19th Epicurean Affair was a great success and we hope to see you at the 20th . We don't know how they can top this years event but somehow we think they will. Join Elaine and Scott of VINO LAS VEGAS as they take you inside the Epicurean Affair, speak with some Chefs and have a little fun pool side at the Flamingo Resort. F. Harrah College of Hotel Administration came up the idea of UNLVino to raise money for the new college. The UNLVino Grand Tasting , over the last 35years has grown into the one of the largest single-day winetastings in the United States and is one of the most unique college fund raising events anywhere. UNLVino is now a three day celebration of wine that culminates in the Grand Tasting on the last day. UNLVino , Day one opens with Bubble-Licious , a party with Champagne and Sparking Wines at the Palms Resort. Guests stroll and enjoy hors d oeuvres as they sip Champagnes and Sparking wines from around the world and witness a 21 Cork Salute this year to honor two UNLV Alumni , George Maloof owner of the Palms Resort and Chef Guy Fieri from the Food Network. this very special evening featuring wines from Australia, New Zealand , South America and South Africa. The last day is the biggest. Over 145 suppliers pour over 1100 wines at the Grand Tasting. Over 750 UNLV students volunteer to help pour wines and prepare and serve food at this one day event that has grown into one of the largest in the United States. This is a great experience for the students as they manage this event that can bring more than 4000 people that want to eat and enjoy the wines. Each year UNLVino gets better and continues to make a name for itself on the International Scene as guests and students support the college. Restaurants mean many things to many people. Over the years we have had the pleasure of dining at many fine places. Most of the time we look at them as a place to dine, experience some great wine and conversation with friends. Not many times have we been affected personally about a restaurant, until now. We visited Bleu Gourmet 4 1/2 years ago after hearing about it from friends while in Santa Barbara. We found that ironic being that Bleu Gourmet is less that 10 minutes from our home. When we returned we visited "Bleu" and met owner Sonny Ahuja. At the time, he had only been opened a couple months. We have watched this great place grow ,change and met many new friends at the weekly events. This was always a place to meet. We can't remember how many times we have asked people to "meet me at Bleu ". We will miss the Sunday Crepes, long Saturday lunches with friends and great bottles of wine, and of course the Wednesday wine tastings . Most of all we will miss "Bleu" and it's staff. We have formed many personal relationships with them over the years. We have celebrated holidays, family events, personal triumphs and disappointments while enjoying great food and caring service. We now have to find a new "home" ( if that is possible ) but we will never forget the memories we have of Bleu. It was truly a special one of a kind place and will be missed greatly. We raise our glass to Sonny, his staff and to Bleu itself and say Thanks for the memories ! The award winning Via Brasil Restaurant in New York City opened Via Brasil Steakhouse in the Las Vegas suburb of Summerlin. Via Brasil is an authentic "Churrascara" that offers a gourmet salad bar with an array of hot and cold dishes, cold cuts, cheeses, and even sushi made fresh daily. The signature of Via Brasil is it's eighteen different kinds of meat, poultry and fish that are carved table side. On our visit to Via Brasil we were greeted by the hostess and directed to the bar where we enjoyed a wonderful traditional Brazilian Caipirinha prepared by our mixologist Priscilla. After getting a lesson in how to make this wonderful cocktail we were escorted to our table to "learn" how this whole process works. The MOST important lesson you can learn at Via Brasil is what the colored cards mean. It's very simple actually, but a lesson that you need to know. Green means start bringing the food and Red means STOP....No Mas ! As the evening progressed we kept these cards close at hand. Before starting our meal we were enticed by their Gourmet salad bar will salads, hot and cold sides, cheeses , vegetables and even sushi that was mouth watering. We knew that this was only a precursor to what was about to begin. We flipped over our "Green Card " and the parade of " Passadores" , very sharp knifes and meat began. The "Rodizio" style dining is a true show to behold. Our table captains started arriving table side with skewers of Prime Rib, Leg of Lamb, Rib Eye, Top Sirloin , Suckling Pig and Pork Ribs just to name a few. There were 18 meats available in this culinary parade and we did our best to sample as many as we could taking "Red Card" breaks for breathers. With this amount of meat we knew there had to be a great wine list to add to this experience. Sommelier Jean Richardo Olivera has created a wine list that in our opinion is one of the best off the famed Las Vegas strip. We look for his hard work to pay off when this list could get some pretty high accolades from Wine Spectator. Only time will tell. We thought that desert was not an option but being that we were dining in Brasil , the Carmel Flan was a dish we had to try along with some cappuccino to put a nice finish on this great meal. Join Vino Las Vegas as we speak to the owner of Via Brasil, learn how to make a Caipirinha and enjoy a parade of food that we have not seen in sometime. We have been watching the progression of New Zealand wines now for several years and they have been progressing very nicely. David Strata of New Zealand Wine Growers came Las Vegas to show off the latest vintage of New Zealand wines to the "trade" at the 4Seassons Resort. These "trade" tastings are normally not open to the public but provide a chance for Chefs, Sommeliers , Wine Directors and Restaurant owners to sample the wines an get an in depth look at them. These wines were right on target as they showed how versatile this small country can be in its wine making techniques by using their numerous climates to produce some pretty good wines. We can take a detailed look at New Zealand wines by first taking a look at the wine growing regions , then their trade mark varietals and finally the all important climate. New Zealand has ten main wine growing regions, each displaying a great diversity in climate and terrain. Differences in climate may be illustrated by the variation in the harvesting date of Chardonnay. In the warmer and more humid northern regions of Northland, Auckland and Gisborne, Chardonnay might begin to be harvested in late February or early March while in Central Otago, the world's most southerly Chardonnay grapes may first be picked in mid to late April - a difference of 6-7 weeks. New Zealand Sauvignon Blanc is rated throughout the world as the definitive benchmark style for this varietal. The growing recognition for New Zealand Chardonnay, Pinot Noir, Méthode Traditionelle sparkling wines, Riesling, Cabernet Sauvignon and Merlot blends is helping to further cement New Zealand's position as a producer of world class wines. New Zealand is also a country of contrasts with dense, native forest, snow-capped mountains and spectacular coastline. With wine growing regions spanning the latitudes of 36 to 45 degrees and covering the length of 1000 miles (1,600km), grapes are grown in a vast range of climates and soil types, producing a diverse array of styles. The northern hemisphere equivalent would run from Bordeaux (between the latitudes of 44 and 46 degrees) down to southern Spain. New Zealand's temperate, maritime climate has a strong influence on the country's predominantly coastal vineyards. The vines are warmed by strong, clear sunlight during the day and cooled at night by sea breezes. The long, slow ripening period helps to retain the vibrant varietal flavours that make New Zealand wine so distinctive. 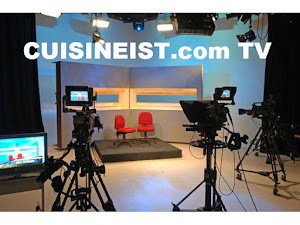 Join Vino Las Vegas as we speak to David Strata and visit with New Zealand's Woollaston Wines Miana DeGardeyn as they speak about the country and their wines. More than 210,000 people in Las Vegas struggle every day with hunger. It is hard to accept that in a city where 44 million tourists enjoy the best in food and drink in the world , so many of them own do not know where or when they will get their next meal. Three Square was founded in 2006 to provide a consistent supply of nutritious food to local non-profit and faith-based organizations serving people in need. Through collaborative partnerships, Three Square has emerged as a new national model for how to move millions of pounds of nutritious food more quickly and efficiently than traditional food banks. We were pleased and honored to join host, David Arquette, Kerry Simon and Rick Moonen, along with other renowned chefs and celebrities in providing a delicious array of gourmet food, fine wines, and live musical entertainment. The event also featured “Signature Dish,” which is an annual juried art exhibition of local artists, celebrity chefs and top entertainers who have been invited to present their artwork on dinner plates that will then be auctioned off. 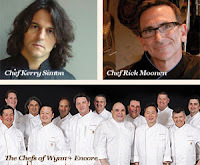 Award winning Chefs Kerry Simon , Rick Moonen and Wolfgang Puck demonstrated their artistry for all to see and enjoy. But not to be outdone, many of the Chefs from Wynn and Encore came together as one culinary force and provided some of the best creations of the day. The Kobe Beef sliders were just but one of their creations and was very big hit among the guests. which raised thousands of dollars. This years DISH event really showed how a collaboration of celebrities, renown chefs, beverage distributors and the public can all work together to help those who need it the most. Three Square has an amazing variety of ways to help people who are in need. Ending hunger is a formidable challenge, but it’s something we can achieve if we work together as a community. If everyone in Southern Nevada did just one thing – no matter how small – to help provide food to the food-insecure, we could change the face of our city forever. DISH Las Vegas, is an interactive culinary arts event like nothing you’ve ever seen before in Las Vegas. Our first event will be Friday, April 3, 2009, at the Las Vegas Springs Preserve. Click here for more information. Las Vegas Restaurant Week 2008 is a weeklong celebration of fine dining in the month of September. Participating restaurants provided an exclusive restaurant week menu with fixed pricing. Portions of the proceeds from Restaurant Week went to Three Square to help end hunger in the valley. This years participants grew to over 75 fine dining Restaurants. Three Square would like to wish a special thank you to all participating restaurants. Three Square Creative Challenge is an annual essay contest open to all high schools, public and private, in Clark County, Grades 9-12. The contest subject is: What can we do to end hunger in Clark County? The categories include written essay, verse: poem or lyric , and electronic media: PowerPoint or video. Hoppe's is located on scenic Highway One between Cambria and Morro Bay. When we asked where we should eat from our winemaker friends the answer was a unanimous HOPPE'S. Less than 100 yards from the Pacific Ocean HOPPE's provided us with a great culinary venue. organic meat and produce from both local farmers and farmers markets and use local Lobster and shellfish, including farmed Abalone direct from the nationally renowned Abalone Farm. The first thing we always look at anywhere we go is the wine list. Each of the 200 wines is hand picked by Chef Hoppe who has complied a unique list of wines from greater California as well as imports from around the world. The menu has everything from Hamburgers to "Plateaus" of fresh seafood as well as wild game and venison to prime meats and vegetarian and vegan items all at a reasonable price. HOPPE'S has been known as a local legend but not for long . In addition to many other honors, "Hoppe's Garden Bistro and Wine Shop" is currently rated as the number one restaurant on the Central Coast catering to discriminating individuals, groups and special events and they received a score of 26 out of 30 in the Zagat Survey. HOPPE's was a very special find and will be a regular stop for us along the coast. Stop for some great food or have some wine at the bar. Most likely the person sitting by you is one of many winemakers who make HOPPE's their home .